GM's Silverado/Sierra and Ford's F-Series remain largely unchanged while the updated Ram 2500/3500 HD models dominate the segment across the board in terms of towing and payload capacity; the revised H.O. 6.7L Cummins breaks the 1,000 lb-ft threshold. Note - All ratings and capacities for gasoline equipped trucks have been omitted from the following specifications and comparisons. For more information on gasoline versions of the vehicles discussed herein, please refer to the manufacturer's model specific web page. "Max" refers to maximum available rated capacity in model's lineup. Actual ratings will vary by vehicle configuration and equipment packages. Gross Vehicle Weight Rating. Maximum rated weight of a vehicle and its cargo, including passengers (excluding trailers). Gross Combined Weight Rating. Maximum rated combined weight of a vehicle, its cargo, and trailer(s). Front Axle Weight Rating. Maximum rated weight that can be applied to the axle. Rear Axle Weight Rating. Maximum rated weight that can be applied to the axle. Maximum weight of combined cargo that a vehicle can carry (excluding trailers). Maximum rated trailer weight when towing using a conventional "bumper pull" receiver hitch. Maximum rated trailer weight when towing using a 5th wheel hitch system. Maximum rated trailer weight when using a gooseneck hitch system. 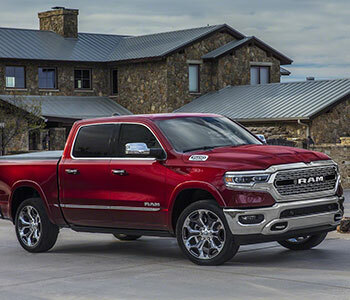 In addition to the 6.7L Cummins' 2019 update offering up to 1,000 lb-ft of torque, Ram Trucks 2019 models carry the best-in-class titles for payload and towing without having to exclude Ford's mighty F-450 from the class 3 segment. The 2019 Chevrolet Silverado/GMC Sierra HD models are effectively carry overs from 2018 with only subtle changes to towing and payload ratings. 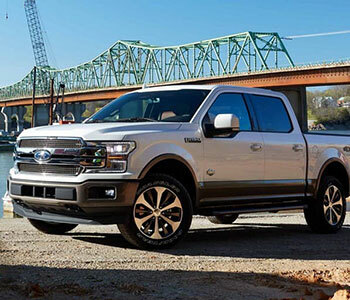 Likewise, the Ford F-Series is largely unchanged with the broadest improvements carried by the F-450, which is now available in a variety of cab/wheelbase configurations. Both Ford and General Motors have redesigned and/or updated platforms on the horizon. In the 1/2 ton and midsize segments, the Colorado/Canyon twins from GM see yet another decrease in fuel economy ratings while the EcoDiesel abruptly drops from 29 mpg in 2018 to 27 mpg (highway fuel economy) for 2019. Meanwhile, Ford's new Power Stroke boasts an impressive 22 mpg city/30 mpg highway rating, reigning supreme in the full-size market while also ousting competition from midsize trucks. General Motor's 3.0L Duramax was originally scheduled for an early 2019 release, but at time of publishing there has been no definitive release date. "Class" used herein per Federal Highway Administration (FHWA) vehicle weight classifications. • Class 2 (3/4 ton pickups) - Trucks with a GVWR range of 6,001 to 10,000 lbs. • Class 3 (1 ton pickups) - Trucks with a GVWR range of 10,001 to 14,000 lbs. Class 3 trucks have been divided into single rear wheel (SRW) and dual rear wheel (DRW) categories.